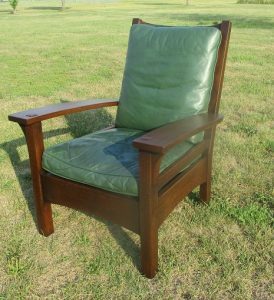 Contemporary Stickley Bow Arm Chair with a darker finish. This chair is approximately 15 years old, gently used, with green leather cushions. Very comfortable with a fixed back design.